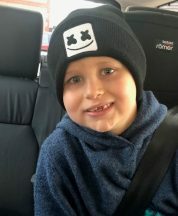 Interests - Finns interests are XBox and Fortnite, Scania lorries, YouTube, Nintendo switch and Lego. Finn was diagnosed with ALL on the 20.10.2015 after an earache that refused to get better. He was just 3 years old. Our GP sent us to our local hospital and they diagnosed Finn in an hour. We were transferred to Piam Brown at Southampton two days later. They confirmed Finn’s diagnosis with a bone marrow procedure. He started treatment the same day. Sadly Finn had a reaction to the Vincristine and became very poorly. We spent literally the whole of induction in Piam Brown, seven very long weeks. Finns consultant later informed me that it was one of the trickiest ALL inductions that Piam Brown had faced. My other son Archie, 8 at the time, suffered enormously. It was a very dark time in our family life. 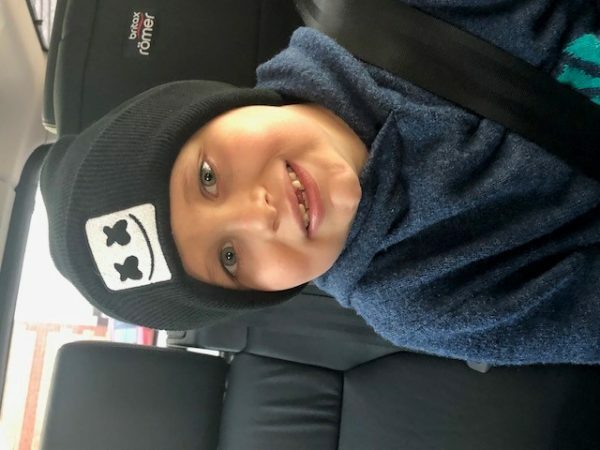 Finn is now thankfully in remission and in the maintained phase of treatment. We hope to remain positive over the next three years and try to live a normal life as much as possible although Finn has to have chemo every day. 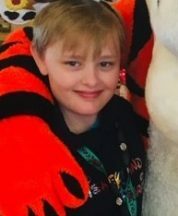 Finn finished his treatment very recently. No blood draws or chemo needed, but very regular hospital trips to see that his bone marrow behaves. He is also suffering from severe anxiety which needs to be addressed. The Martin boys would like to say a massive thank to everyone for all their cards and gifts received. Each one makes us very happy and is truly appreciated. Finn is still in maintenance, still on daily chemotherapy and had a platelet problem. But he is well. Archie has moved onto secondly school and is going well. A massive massive thank you to everyone who takes time to send things to the boys, it’s sincerely appreciated.